Our business model largely depends on visibility in search engines, particularly in terms of its sustainability. Of course, Google is the most important search engine for us because almost all of our organic traffic is due to Google. Since May, we have taken numerous measures to improve our Google rankings, thus also increasing organic traffic. Philipp Klöckner finally helped us make a quantum leap and provided us with valuable input. First, we optimized trademachines.de (and later trademachines.com) as much as we could. While we were immediately pleased by the constant growth we experienced, we were still hoping for a real boost. This boost finally came with the latest update of the Google Phantom III algorithm, which rates website content. Indeed, this update boosted the visibility of all of our 11 marketplaces. Our U.S. platform,TradeMachines.com , benefited the most. According to online tool "Sistrix," this website's visibility has increased by over 260 %. Nonetheless, visibility of our German website TradeMachines.de has also increased by 66 %. Our Swiss and Austrian websites, TradeMachines.ch and TradeMachines.at, are now the number-one websites for the machine sector in those countries. In short, the entire content work of our online marketing team has started to pay off at one stroke. This is a huge success, and it proves that we have made the right decisions in terms of content and optimization. In the second week after the Phantom III update, all of our 11 marketplaces also saw increased visibility on Google. For instance, TradeMachines.de experienced a 21 % increase, which is another huge leap after last week's success. Because of our websites' increased visibility, organic traffic has been increasing massively and has doubled in no time. This has caused our marketing costs to decrease because we need less paid advertising now. More and more users are coming to our website, searching for used machines and finding them, and using our services. Because of the rapid increase in traffic, we are establishing ourselves within the various markets in an even faster way, thus increasing revenues and the number of customers. We will keep following this strategy by adding more languages and additional country websites. In the first quarter of next year, we plan to launch the Spanish, Russian, Italian, and Portuguese versions of our website. 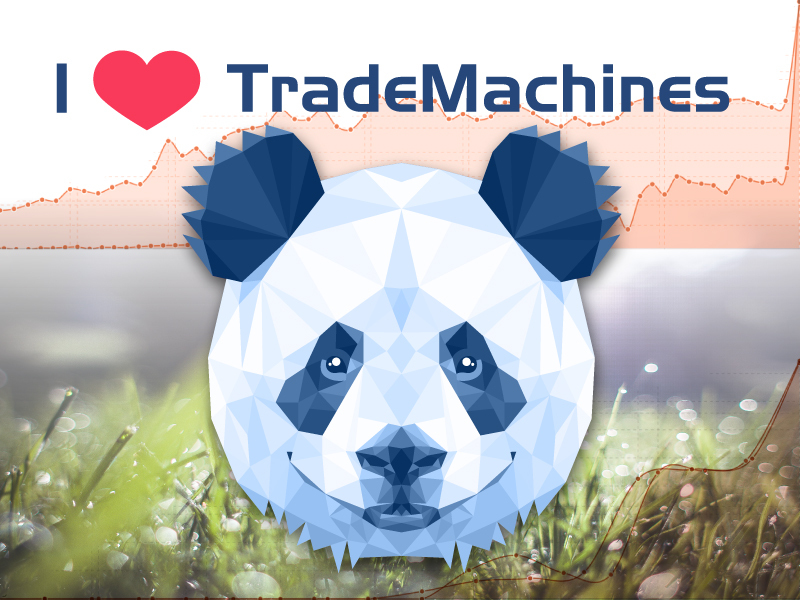 Please register in order to see the complete profile of TradeMachines.